You’re on Baseball Quotes. 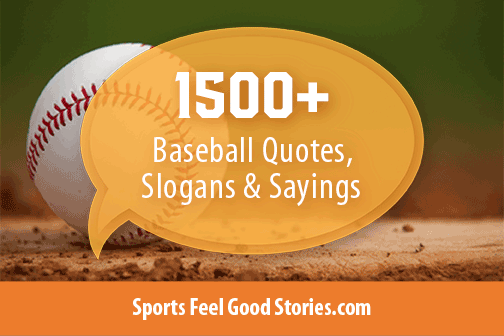 These selected quotations are for lovers of the game including players, fans and coaches. 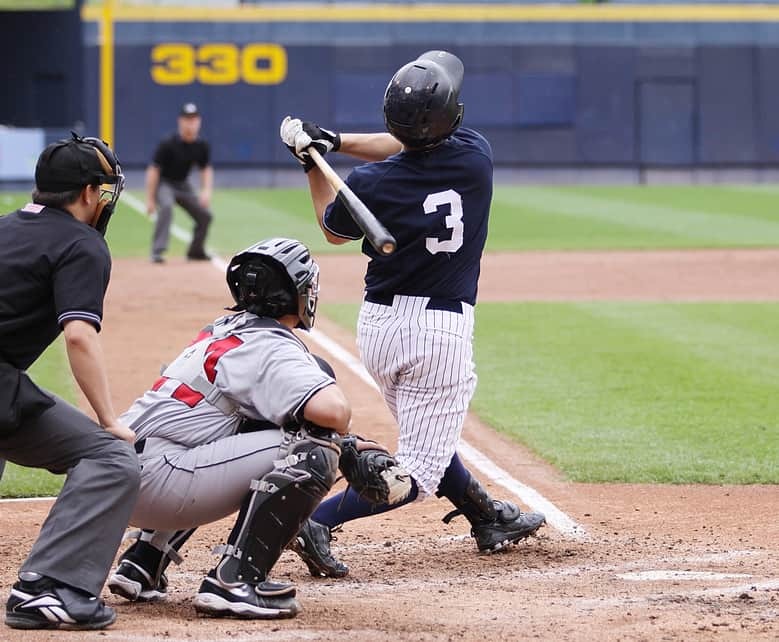 Learn insights from players, managers and sportscasters on our national pastime. Baseball is the only place in life where a sacrifice is really appreciated. That rain delay was the most important thing to happen to the Chicago Cubs in the past 100 years. I don’t think there’s any way we win the game without it. It’s crazy how things happen for a reason — I love when players have meetings; I hate when I do. So they had their meeting, and the big part of it was, We don’t quit. We don’t quit. Baseball is a lot like life. It’s a day to day existence, full of ups and downs. You make the most of your opportunities in baseball as you do in life. Why does everybody stand up and sing “Take Me Out to the Ballgame” when they’re already there? Any baseball is beautiful. No other small package comes as close to the ideal design and utility. It is a perfect object for a man’s hand. Pick it up and it instantly suggests its purpose; it is meant to be thrown a considerable distance — thrown hard and with precision. I said before the Series that a sweep wouldn’t do it…It would have to be something epic. And that was epic, wasn’t it? Back, back, back, back… Gone! They met 19 times this season. That’s something that made this organization what it is now. From my position I can see it: the sacrifice the scouts make when they drive the extra miles to get that last look at a player, the minor league coaches putting in extra hours, the big league coaches crushing video, the players working on their weaknesses, picking their teammates up. That’s what makes a great organization. That’s Cub. Show me a guy whos afraid to look bad, and I’ll show you a guy you can beat every time. Have your best season yet! Hello again, everybody… It’s a bee-yoo-tiful day for baseball. 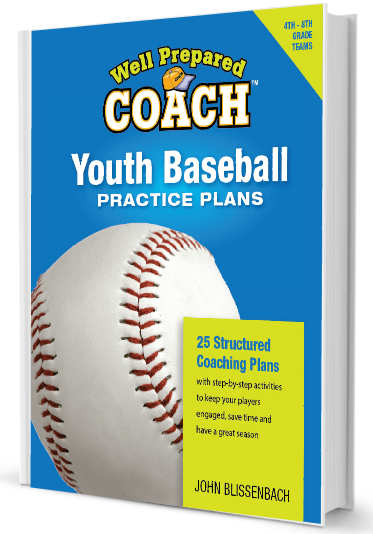 Review stats, draft info and more and take a “Moneyball” approach to the game. A real life game is 9 innings of tension interrupted by pitching changes. All game long I was burning nervous energy. I was a wreck. I thought about all the people in Chicago and how much this meant to them. But after we had that meeting, I knew we were going to win. It was only a matter of how and when. When you’ve learned to believe in yourself, there’s no telling how good a player you can be. That’s because you have the mental edge. Say this much for big league baseball – it is beyond question the greatest conversation piece ever invented in America. The burden has been lifted. It should have never been there in the first place, I don’t think, but now we can move forward. Every player should be accorded the privilege of at least one season with the Chicago Cubs. That’s baseball as it should be played – in God’s own sunshine. And that’s really living. You don’t save a pitcher for tomorrow. Tomorrow it may rain. What are we at the park for except to win? I’d trip my mother. I’d help her up, brusher her off, tell her I’m sorry. But mother don’t make it to third. A critic once characterized baseball as six minutes of action crammed into two-and-one-half hours. When I knocked a guy down, there was no second part to the story. Don’t tell me about the world. Not today. It’s springtime and they’re knocking baseball around fields where the grass is damp and green in the morning and the kids are trying to hit the curve ball. Baseball is the only sport I know that when you’re on offense, the other team controls the ball. Every hitter likes fastballs, just like everybody likes ice cream. But you don’t like it when someone’s stuffing it into you by the gallon. That’s what it feels like when Nolan Ryan’s thrown balls by you. Well I can’t rightly say (which player hit the ball hardest), but the ones (home runs by) Ruth hit got smaller quicker. Basketball, hockey and track meets are action heaped upon action, climax upon climax, until the onlooker’s responses become deadened. Baseball is for the leisurely afternoons of summer and for the unchanging dreams. It ain’t nothin’ till I call it. The difference between the impossible and the possible lies in a mans determination. No matter how good you are, you’re going to lose one-third of your games. No matter how bad you are you’re going to win one-third of your games. It’s the other third that makes the difference. The saddest day of the year is the day baseball season ends. When you’re in a slump, it’s almost as if you look out at the field and it’s one big glove. Life will always throw you curves, just keep fouling them off. The right pitch will come, but when it does, be prepared to run the bases. When Steve and I die, we are going to be buried in the same cemetery, 60-feet 6-inches apart. Like those special afternoons in summer when you go to Yankee Stadium at two o’clock in the afternoon for an eight o’clock game. It’s so big, so empty and so silent that you can almost hear the sounds that aren’t there. 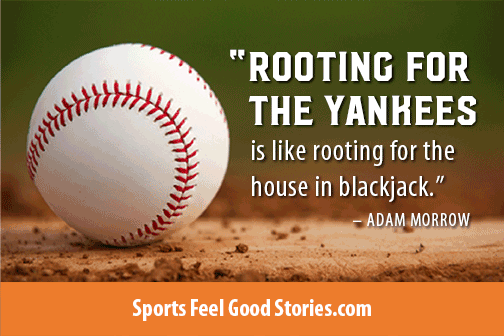 Rooting for the Yankees is like rooting for the house in blackjack. Sandy’s fastball was so fast, some batters would start to swing as he was on his way to the mound. Get out the rye bread and mustard grandma, cause it’s GRAND SALAMI TIME! My pitching philosophy is simple – keep the ball way from the bat. I believe in the Church of Baseball. I tried all the major religions and most of the minor ones. I’ve worshipped Buddha, Allah, Brahma, Vishnu, Siva, trees, mushrooms and Isadora Duncan. I know things. For instance, there are 108 beads in a Catholic rosary and there are 108 stitches in a baseball. When I learned that, I gave Jesus a chance. Ninety feet between home plate and first base may be the closest man has ever come to perfection. You know you’re pitching well when the batters look as bad as you do at the plate. It’s hard to win a pennant, but it’s harder losing one. 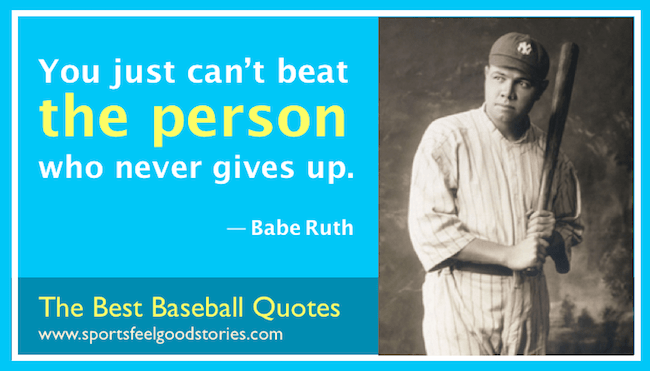 Note: If you have any suggested baseball quotes for this page, please let us know. That’s the true harbinger of spring, not crocuses or swallows returning to Capistrano, but the sound of a bat on a ball. This is a game to be savored, not gulped. There’s time to discuss everything between pitches or between innings. Tip: Some of these baseball quotes make great photo captions. I see great things in baseball. It’s our game – the American game. It will take our people out-of-doors, fill them with oxygen, give them a larger physical stoicism. Tend to relieve us from being a nervous, dyspeptic set. Repair these losses, and be a blessing to us.